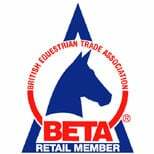 We just received news from the FEI late on Wednesday that all of the bits we submitted for approval this year have been past. "3.2.3 Bridoons where the centre link(s) of the bit can lock and have the effect of a mullen mouth snaffle are not permitted." The DC Morgan has been approved but am waiting to see which cheek design will be allowed.